Renowned Swedish radio journalist Louise Epstein has been the visit Kitty Crowther in her studio/home outside Brussels. The result: an interview with many laughs and a nice blend of Swedish and French! Listen here! The few lousy shots (below) managed by the Award Office cellphone camera do no justice to the exhibition: stop by for a better look! Each year, the recipient of the Astrid Lindgren Memorial Award receives not only 5 million SEK, but also a diploma: an original illustration by a Swedish artist. The Tamer Institute put their diploma – by Swedish illustrator Anna Bengtsson – to good use and printed it on the posters for their 2010 reading campaign, pictured below! After weeks of e-mailing, faxing, phoning and interventions, the Award Office finally received permission to enter Gaza. With no time to waste and armed with formal recommendation letters, we headed directly to the Erez Crossing. 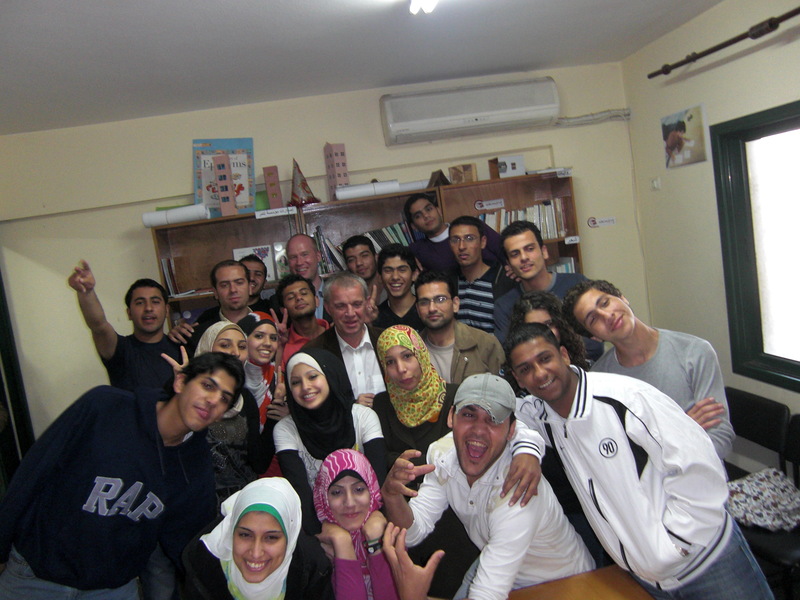 The purpose of the visit was of course to meet the Gaza Office of the Tamer Institute of Community Education. As we arrived, we were met by the creative members of the Yara’at and Voices teams, two programs initiated by the Tamer Institute. 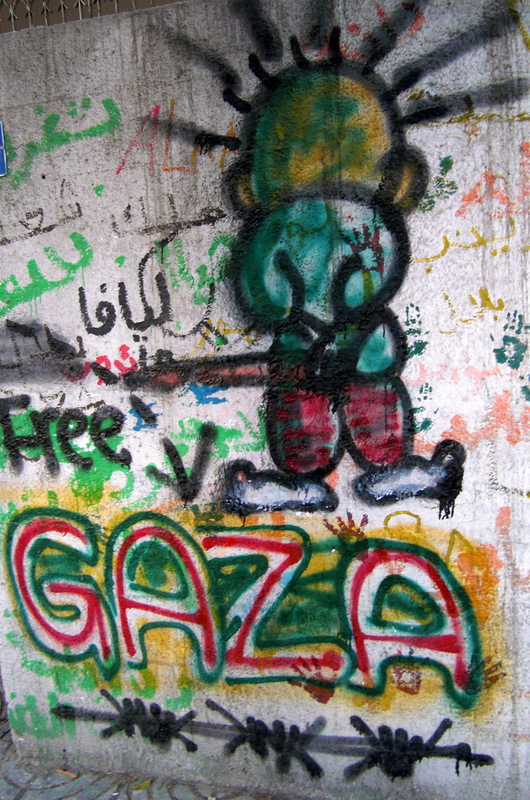 Yara’at is a newspaper which is created, edited and produced by young people on the West Bank and Gaza. As the Palestinians living on the West Bank don’t have the right to visit the Gaza strip, programs such as Yara’at have become important means of sharing experiences with each other, in spite of the isolation. 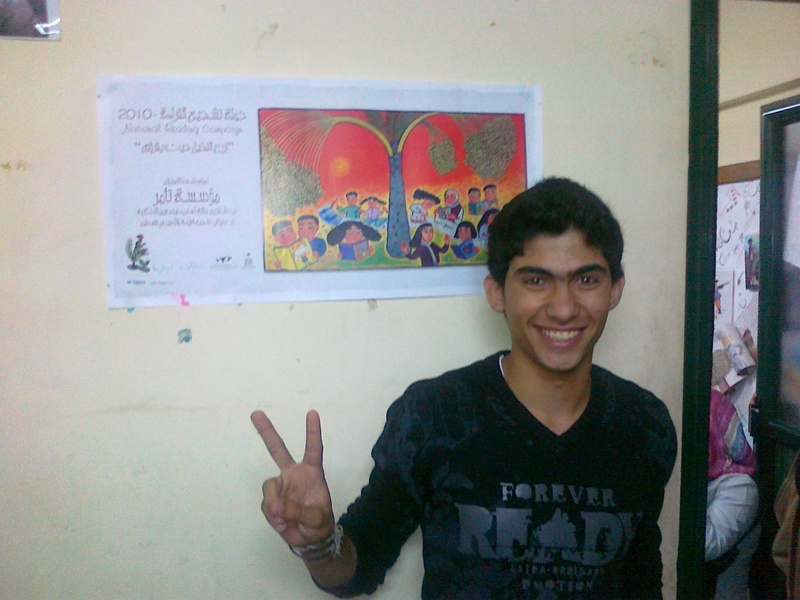 Voices is a newsletter written in English, a way to make the young voices of Palestine heard in the world. More information on these programs can be found at http://www.tamerinst.org. 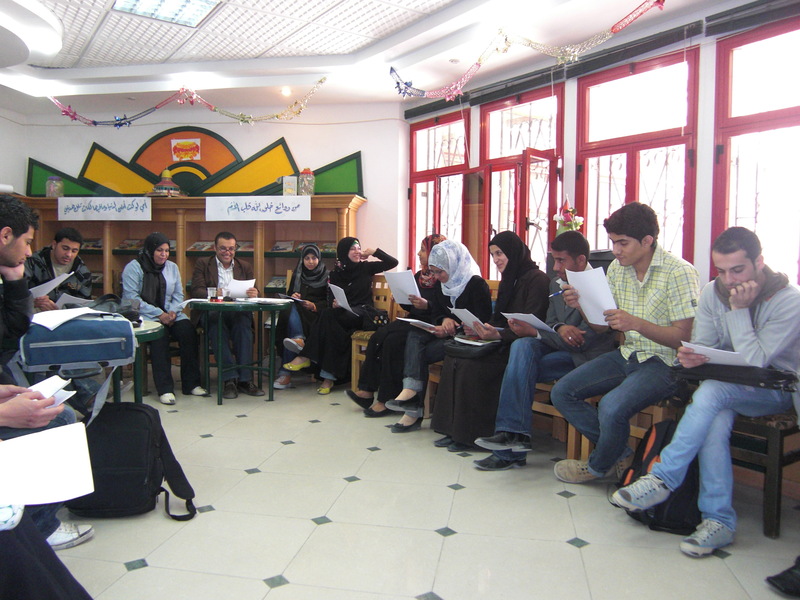 Another program supported by Tamer is Young Writers. As we joined their work shop, they were reading aloud from their manuscripts written for the stage. The response was instant, as part of the audience consisted of the Book discussion club, used to give sharp feedback on literary texts. One interesting play highlighted the increasing problem of medicine addiction among young girls on the Gaza strip. The Award Office also had the opportunity to meet with several established writers, artists and researchers – representatives of the vibrant cultural activities in the area! Best Read Aloud Picture Books is a new online bibliography available from the Curriculum Materials Center at Livingston Lord Library, Minnesota State University Moorhead. The bibliography provides lists of picture books, published between 2004 and 2008, that are highly recommended for reading aloud to children. The bibliography is divided by age levels: toddlers-age 5; ages 6-8, and ages 9-12. Each of the books has been read aloud to numerous children to obtain feedback. Each annotation includes a description of the book and details of how children and readers responded to the book. A great resource for all of those reading to children! Thanks to Carol H. Sibley for the tip. Today we had the opportunity to visit our friends from Tamer Institute at their head office in Ramallah. 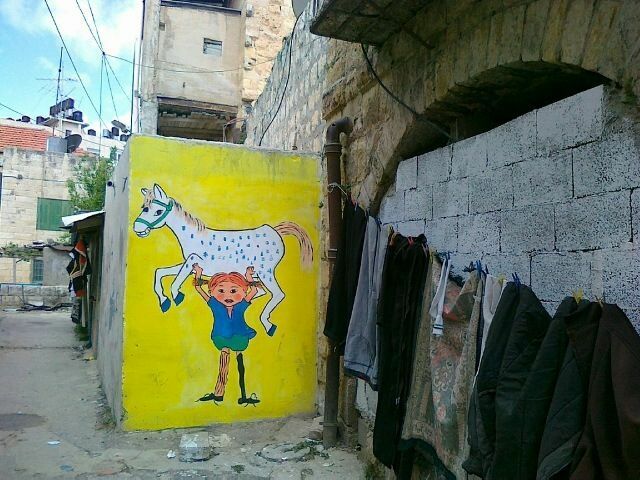 But to see the award winning work of tamer, you can’t stay there, you must travel and meet the grassroots volunteers of the organisation- who work tirelessly to promote reading on the West Bank, in refugee camps like Balata and Askar and in cities like Ramallah and Nablus alike. So this is what we did. 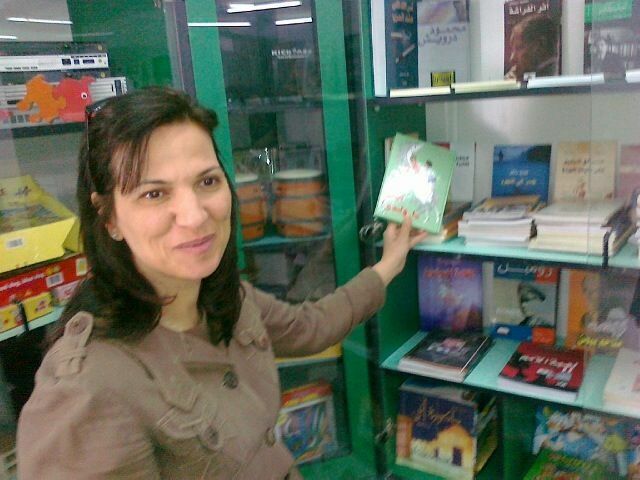 With Renad Qubbaj, director of the institute, as our guide, we made a tour and throughout the day we met so many inspiring librarians and teachers, who under very difficult circumstances still manage to install hope in the children. 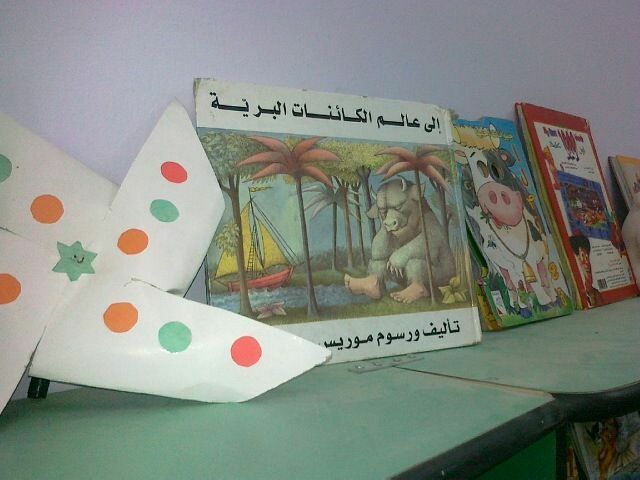 Tamer just finished the national reading campaign, a yearly event which reaches more than 40000 children. This year the illustration from the ALMA diploma by Swedish illustrator Anna Bengtsson was chosen as the motif of the poster for the campaign! Parts of the Award Office (Director Erik Titusson) and Parts of the Swedish Arts Council (General Director Kennet Johansson) are, as we speak, flying off to The West Bank for a Visit to the 2009 recipient of the Astrid Lindgren Memorial Award, the Tamer Institute. The parts of the Award Office that are not out travelling wait eagerly at home for updates on their trip – which we will share with you all as soon as we get them, of course. Yesterday evening, as the Award Office was stumbling home from work, we ran into the legendary actor Catherine Deneuve in the lobby of our office building. Since then we’ve been trying to find a connection been her and the world of Children’s literature, to motivate an entry on this blog … and we found … nothing. Except, of course, that it WAS Catherine Deneuve and it WAS our office. Astrid Lindgren may be best known for Pippi Longstocking, the Brothers Lionheart, and other beloved children’s classics. But when looking through the archives, you’ll find that her production also included a lot of books that are less well known today. With their great old covers and titles, these forgotten gems make for a nostalgic trip down memory lane… Images found trough the German site www.efraimstochter.de. Last night the new Astrid Lindgren guest professor at Växjö University, the German researcher Bettina Kümmerling-Meibauer held a lecture at the Swedish Institute for Children’s Books. The topic was Scandinavia and World Literature for Children. To be defined as World Literature, Bettina Kümmerling-Meibauer argued, books need not only to be translated and received internationally, but also give the reader a new perspective on the world by depicting the everyday life of people. An early example of this is of course The Wonderful Adventures of Nils by Selma Lagerlöf, a book which inspired many authors in especially Europe and South America. Another example is the series of nine photographic books Astrid Lindgren created together with the photographer Anna Riwkin-Brick (pictured below). Bettina Kümmerling-Meibauer demonstrated how these books were spread internationally, influenced other authors to create similar books and also gave its young readers an idea of the everyday life of the children that were depicted, in other words: true World Literature.